1. Everyone already knows who we are. It may seem that way sometimes, that you’re so well-known you don’t need to build awareness anymore. But that high awareness level has to be invested in to be maintained – there are always new people just moving or hired into your market that have never heard of you before. However, if you truly are universally known, then leverage that high awareness level and shift your exhibiting goals to generating leads and holding face-to-face meetings with clients. Those are even better reasons to exhibit! Guess what – clients who love you will tell you that, but clients who don’t will tell someone else. Maybe even your competitors who are at the show. When your clients have problems with you, you can head off problems by meeting them face-to-face at your industry trade show and asking them, “How are we doing? What can we do to improve?” If you listen, and then act on what they tell you, then they really will love you. And what better opportunity to cross-sell and upsell clients who do love you then at that rare time you can meet them face to face – at a trade show! 3. We already have enough customers. For the few that can honestly claim to have enough customers already, you have my admiration. Just remember that nothing lasts forever. There will always be turnover at your clients or among your salesforce, turning your loyal customer into a contested account. Add to that the never-ending efforts by your competitors to dislodge you from your customers, and you have even more reason to keep seeking new clients. 4. We know where the industry is going. With the more competitive global economy, the speed of new product innovation has increased over that last two decades. There is no better place to feel the seismic shifts in your industry than at a trade show – and especially in your own booth, where a parade of attendees asks you how you compare to the latest developments they are seeing down the aisles. Keep your finger on the pulse by putting your feet inside your trade show booth. 5. Our competitors can’t compare to us. If your competitors can’t compare to you, then you should be at the show letting prospects know that. 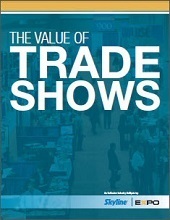 Make your case with a trade show exhibit that clearly reveals your competitive advantages. If you really are the best, but you are not there, remember that shopping attendees will compare the remaining vendors they do can see on the show floor. 6. No one is shopping for our products right now. There have been some drastic downturns in selected industries over the last few years. But while that has reduced their flow of buyers, it hasn’t stopped the remaining buyers from attending – and shopping — at trade shows. There are always buyers – so if you are the one who exhibits, you’ll be the one they meet when they go to the show. Plus, when the industry rebounds, you’ll already be there, ready to welcome them – and their checkbook – into your trade show displays. 7. We don’t have any new products. When product life cycles were longer, companies timed their new product launches for their major industry trade shows. Now, with shorter product life cycles and the rapid availability of product info via the internet, marketers don’t want to wait to launch their new products. However, exhibitors still get tremendous value at trade shows from lead generation, increasing brand awareness, and building relationships. And for most exhibitors, their year or two old products will likely be brand-spanking new to the vast majority of attendees they see in their booth. 8. We get enough leads already. This is similar to #1, that everyone already knows who you are. If you are getting enough leads already, you can shift your goals at the shows to go farther than just taking leads. Take advantage of how the show acts as a central meeting place for your market. So instead of flying all over the country or the world, you can set up meetings with clients, key prospects, and industry partners you want to build stronger alliances with. You save time by meeting all these valuable people in one place. 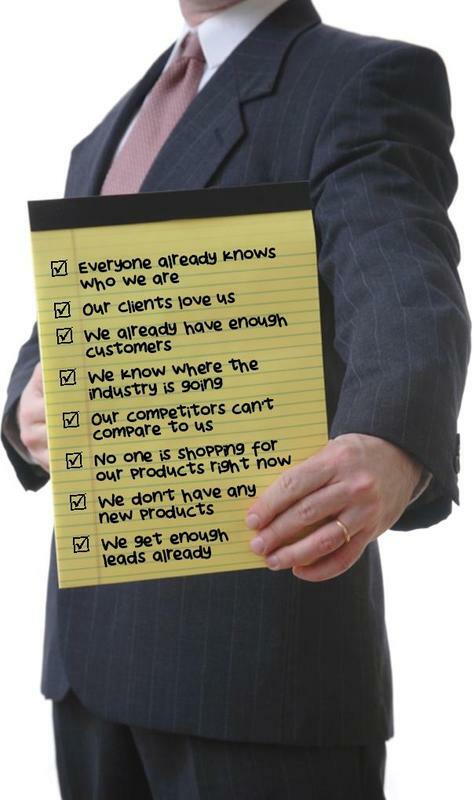 If any of these 8 reasons have kept you from exhibiting at trade shows, perhaps now’s the time to reconsider. Dust off that old exhibit, or perhaps even get a new trade show display, and get back into the show.